Amid chants of “Beat L. A.” by the Boston Celtic fans, Paul Pierce came out of the witness protection program to score seven crucial points in the last two minutes of the game to seal a game four victory for the Celtics 96-89. This was another brawl of a game with some questionable calls by the refs, but very entertaining to say the least. The Celtics were on fire scoring 36 points in the fourth quarter and once again Boston’s bench came through. 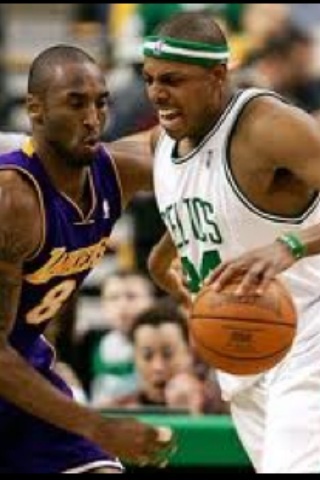 They were lead by Glen Davis who scored an emotional 18 points which lifted the Celts in third quarter. Paul Pierce led Boston with 19 points. They were able to hold of the Lakers and a surge by Kobe Bryant who hit 5 three pointers and led all scorers with 33 points on the night. This has suddenly turned into a best of three series and it should not dissapoint. Game 5 on Sunday night.